Dermopurifying black mask for a deep facial cleansing treatment. 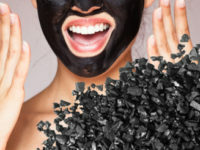 Its action is based on the presence of activated charcoal, a new ingredient with a characteristically black colour and that absorbs skin impurities (makeup residue, environmental contaminants, etc.) and/or excess sebum. It therefore helps to unclog pores, improving the respiration and vitality of the skin which, after use, appears smoother and softer, making it ready to receive subsequent treatments. All skin types and particularly younger skin and/or skin prone to impurities. Apply generously to the skin, once or twice a month. Leave to work for 5 minutes and remove with plenty of water. Charcoal: obtained from the combustion of wood or coconut shells. It is activated by subjecting it to an oxidation process which makes it more porous and, consequently, more adsorbent, increasing its ability to retain impurities on its surface. It helps to reduce the size of pores. Flax extract: combats skin reactivity, regaining its comfort. It prevents skin discomfort linked to external factors of aggression. Soothex®: Boswellia serrata gum, an Indian plant with smoothing properties that reduces skin discomfort.